Many of us judge the freshness of foods by their appearance or smell. This works for most un-refined foods we can buy and that are found in nature. However, in the case of packaged foods, we are often reduced to using the best-before dates printed on the outside of boxes or bottles. Consumers may regard these dates as accurate and reliable, but the truth is that they can be a little arbitrary. This may lead to food waste whether the products in question are in fact edible or not. Fortunately, scientists are working on improving this system, so that the detection of food spoilage is more accurate and efficient. A fresh new example of this emerging technology has been presented by a group from McMaster University in Canada. Their paper on the subject, published today (April 6 2018) in ACS Nano, describes a new device that can indicate the presence of the potentially dangerous enteric bacteria E. coli at impressively low levels. Their innovation comes in the form of a transparent polymer patch that can be applied safely to food, and produces a fluorescent signal in response to the presence of the bacteria. The researchers made their patch out of the see-through cyclo-olefin polymer in the form of a film. They then imprinted this film with a series of deposits of a specific enzyme at the pico-liter scale. This enzyme was a DNA-cleaving protein incorporating an inactive fluorescent marker. This ‘DNA-zyme’ was engineered to react to E. coli RNA in a way that caused it to change its molecular shape and activate the marker. This in turn led to a detectable fluorescent reaction in the polymer patch. The researchers reported that their patches could detect E. coli colony-forming units in markedly low numbers. They claimed that patches applied to samples of meat and apple juice fluoresced in response to the presence of just 1000 such units (which is a relatively tiny number in bacterial colony terms). In other words, the patches demonstrated the ability to detect the growth of E. coli in foods at extremely early stages; therefore, they could indicate food spoilage virtually as soon as it had begun. On the other hand, the patches were intended to be installed inside food packaging. Therefore, this could translate into ruined or skewed samples if they have to be removed in order to pick up the fluorescent feedback. However, the researchers also demonstrated that their patches could also be assayed while remaining in their place within the packaging. This leaves the sample in question in a much more robust state in terms of accurate detection. The researchers also claim that their polymer patches can be integrated into commercial-grade packaging at reasonable costs and with minimal adaptation to existing manufacturing processes. In addition, the team report that their patches are fully stable for at least 14 days. They also tested this longevity at the wide range of pH levels (pH 3 to 9) that Sentinel Wrap may encounter while in contact with various foodstuffs. Therefore, the patches may well endure at full functionality during the entire shelf-life of a given product. The team also noted that the signals emitted from activated patches could be read using simple fluorescence-detectors, or even smartphones. The patches were completed as a result of collaboration across the departments for chemical engineering, biochemistry, biological engineering and infectious disease research at McMaster. They named the end-product ‘Sentinel Wrap’ so as to be in line with the Sentinel Bioactive Network, an initiative at the same university set up to investigate next-generation assaying devices printed on materials such as paper or polymers. The authors, led by Hanie Yousefi of the Faculty of Engineering at McMaster, believe that their patches may contribute to the improved prevention of food-borne illnesses. These bacteria-associated conditions result in 600 million individual cases worldwide per year, according to the World Health Organisation. The WHO also estimates that these diseases also result in nearly half a million deaths per year. Children aged up to five years are particularly susceptible to these outcomes. The McMaster team now plan to develop their Sentinel Wrap further in order to avoid more such cases. This could presumably easily include the adaptation of the patches to detect more relevant bacteria such as Salmonella or Shigella species. This may result in a significant reduction in the conditions most often referred to as food poisoning. 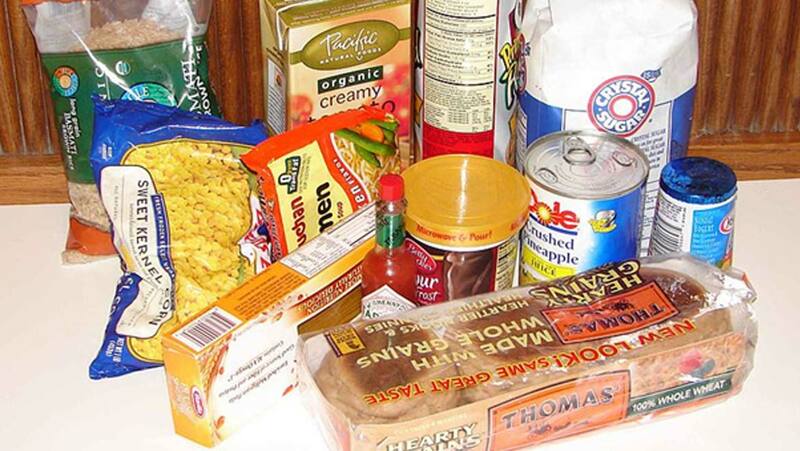 Top Image: The safety of packaged foods is largely determined by their best-before dates. Yousefi H, Ali MM, Su H-M, Filipe CDM, Didar TF. Sentinel Wraps: Real-Time Monitoring of Food Contamination by Printing DNAzyme Probes on Food Packaging. ACS Nano. 2018. Has Our Understanding Of Photosynthesis Been Wrong All This While?